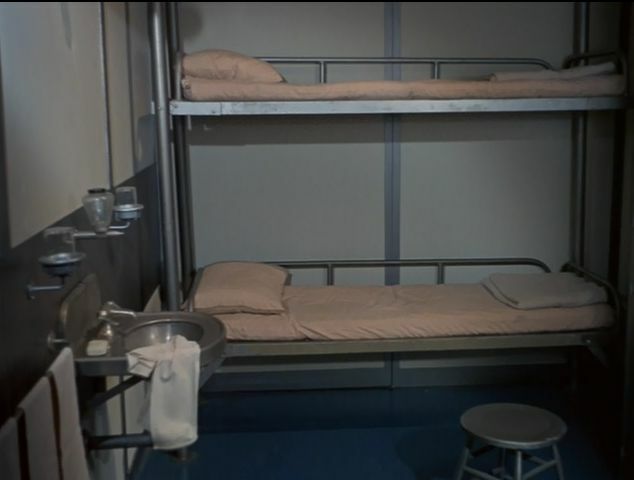 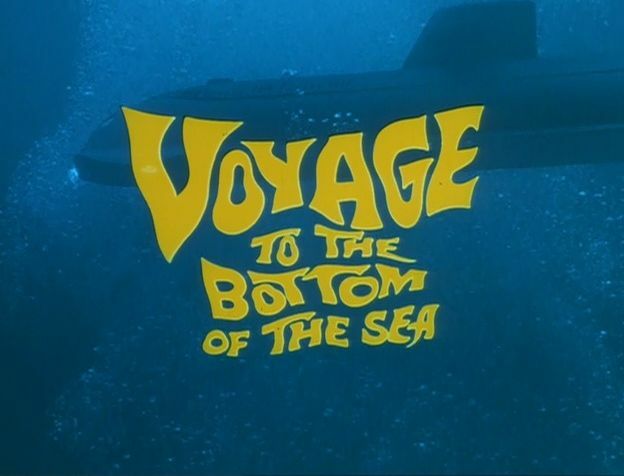 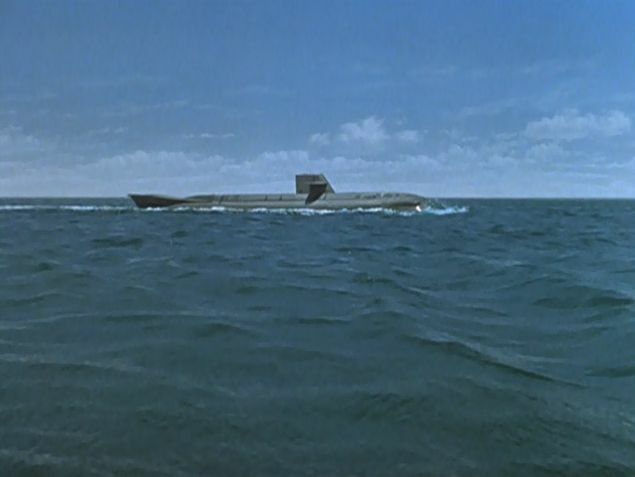 Three models of Seaview � 4 (51�"), 8.5 (102"), and 17 feet (206") (1.2, 2.4 and 5.5 m) long � were built (eight-window nose in the motion picture and first television season, four-window version thereafter). 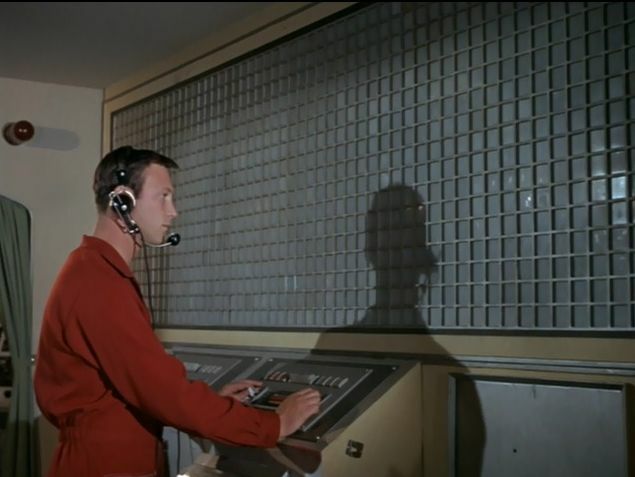 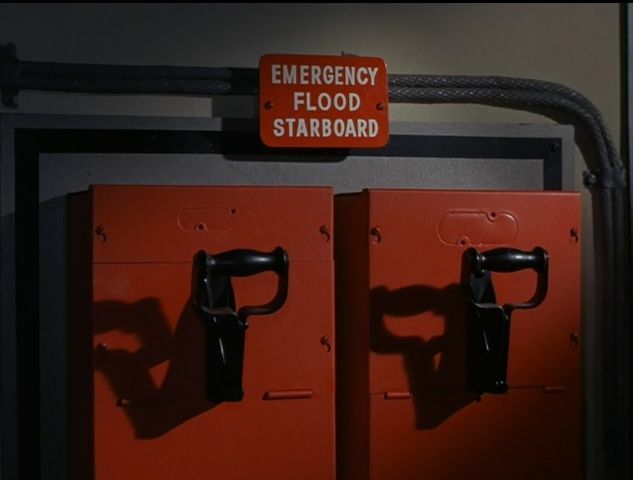 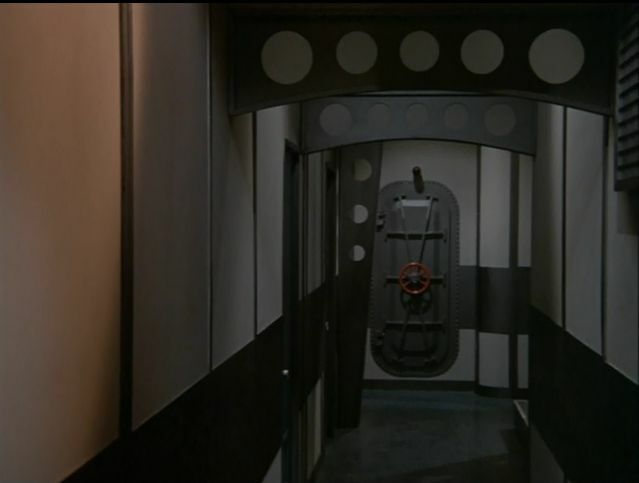 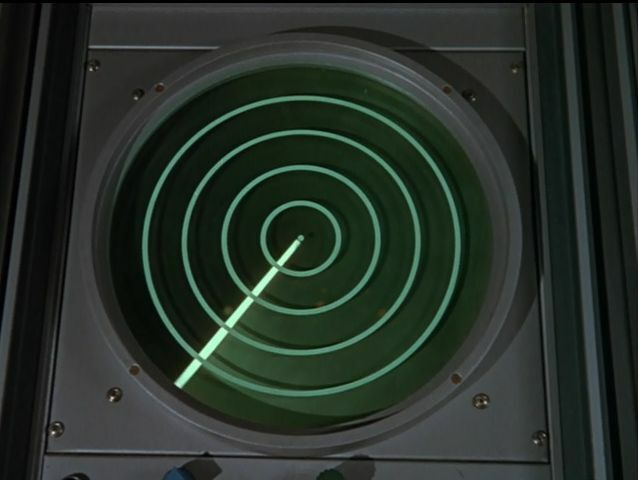 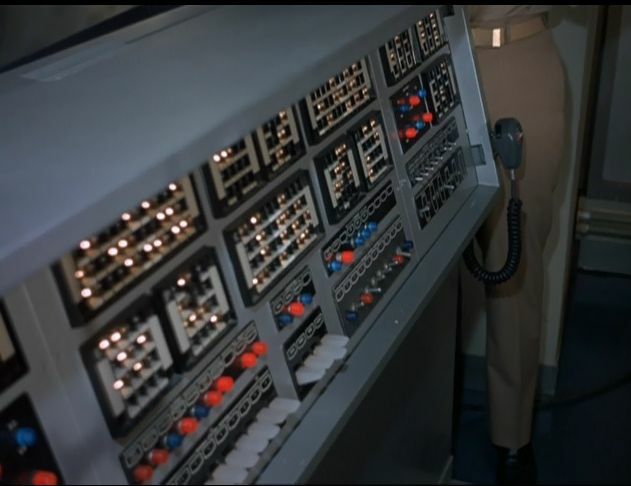 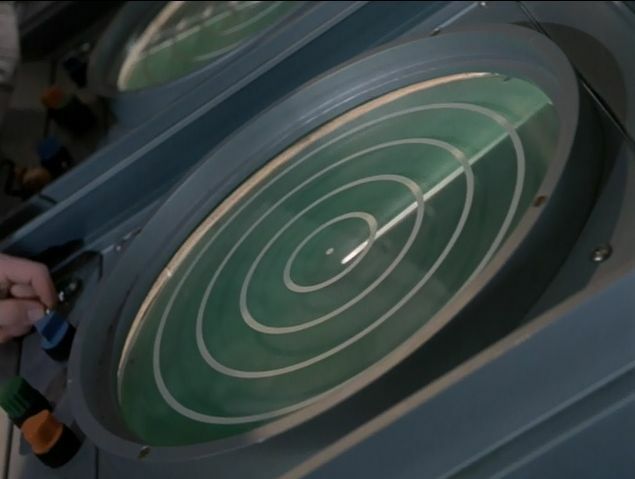 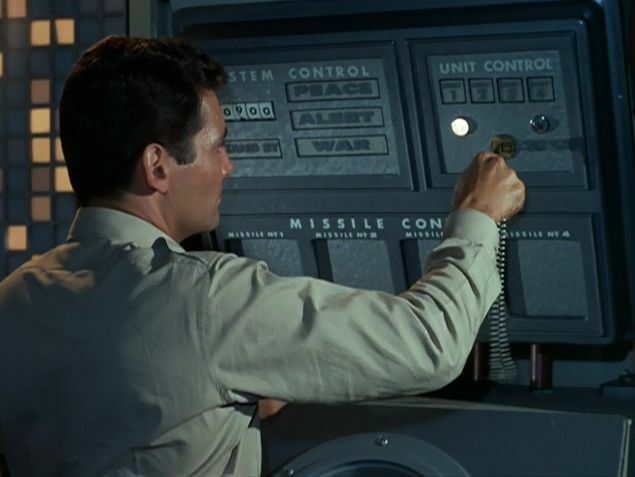 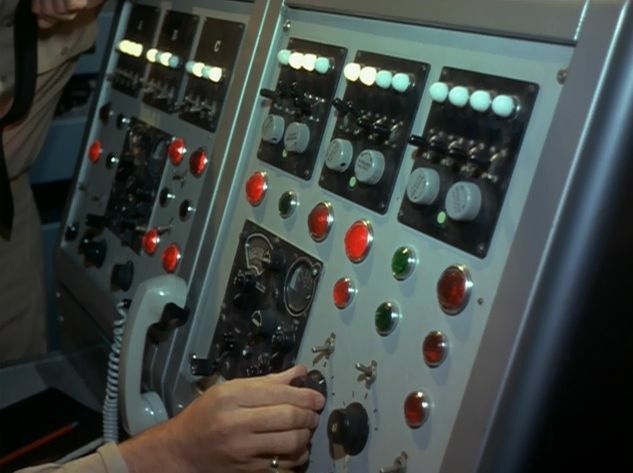 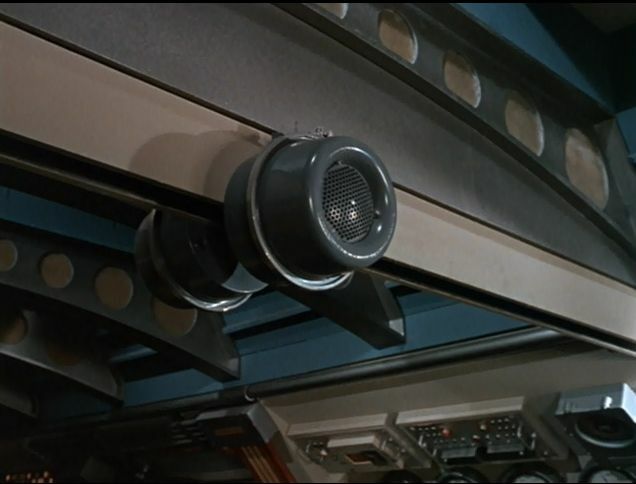 The four-foot wood and steel tube approval/pattern model was extensively seen in the feature and on the TV series used as set decoration on a shelf in the observation nose, and behind Nelson's desk in his cabin. 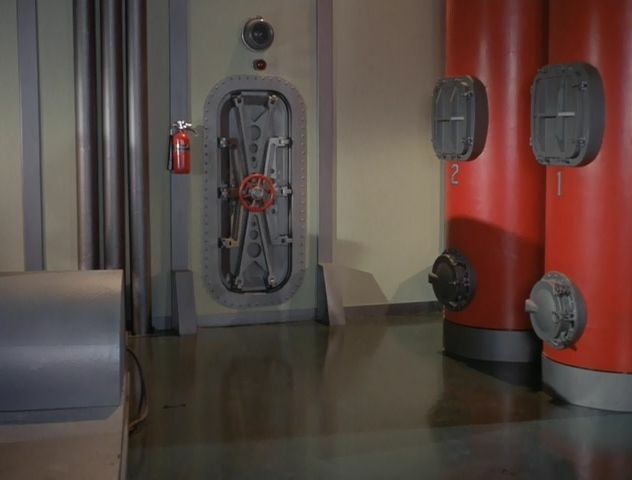 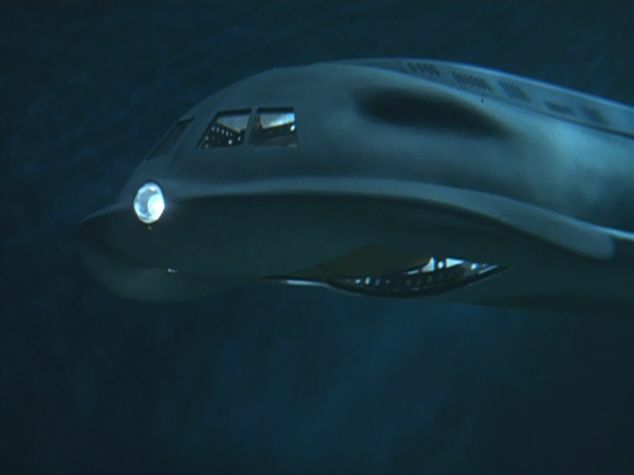 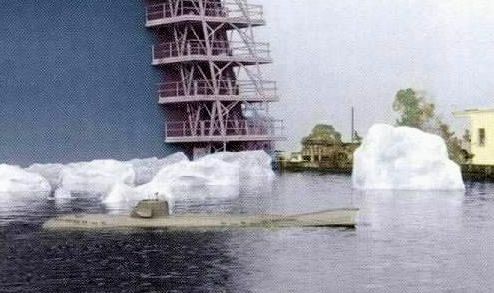 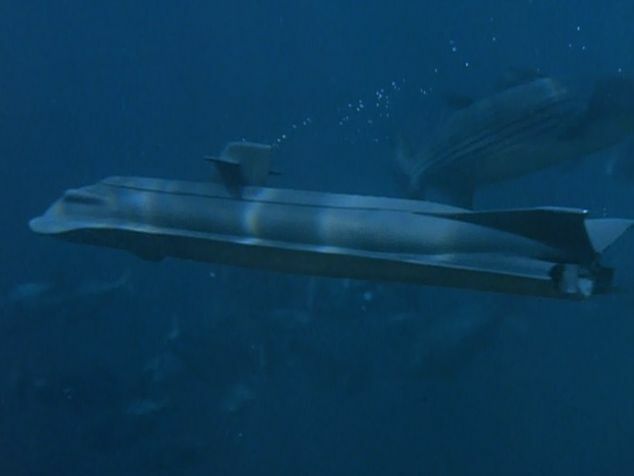 The eight-foot model had external doors for a not fitted nine-inch Flying Sub, while a more detailed 18-inch Flying Sub was held within the larger Seaview. 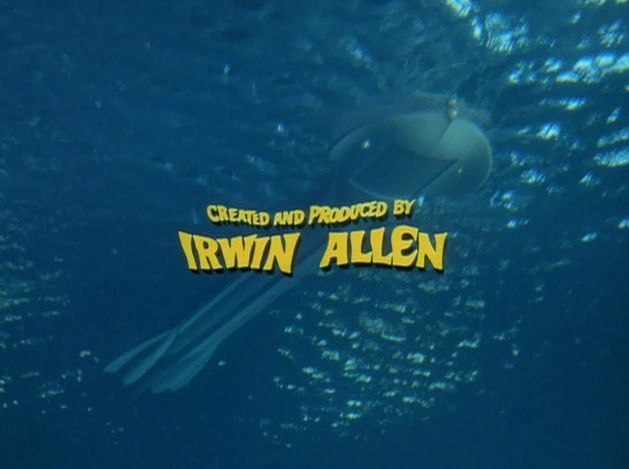 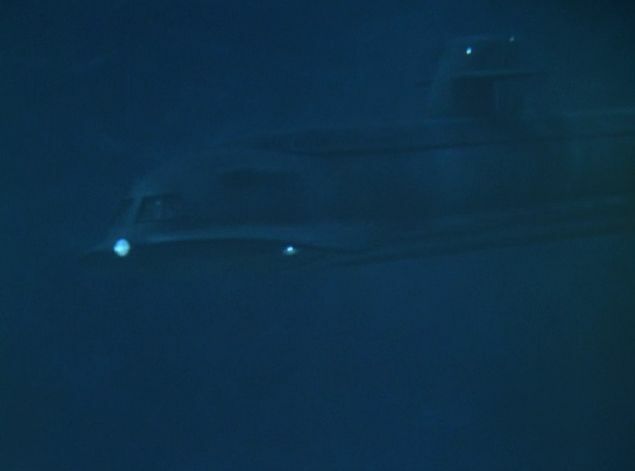 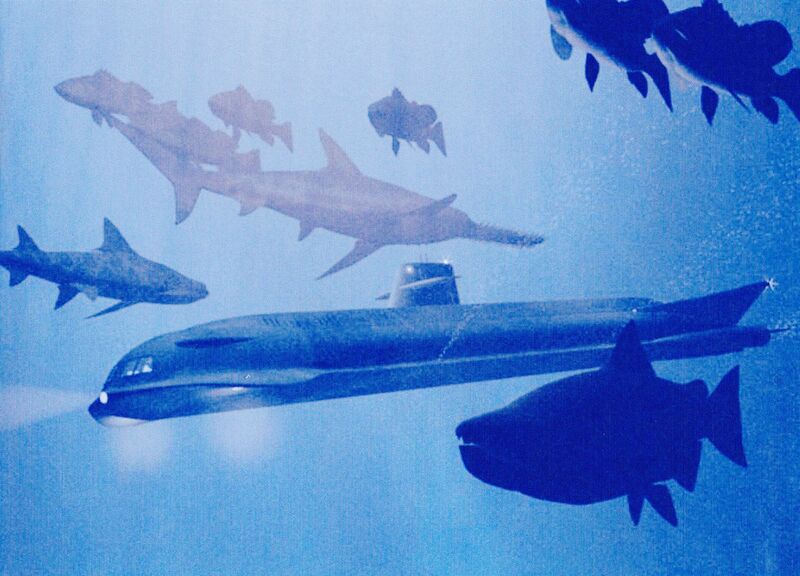 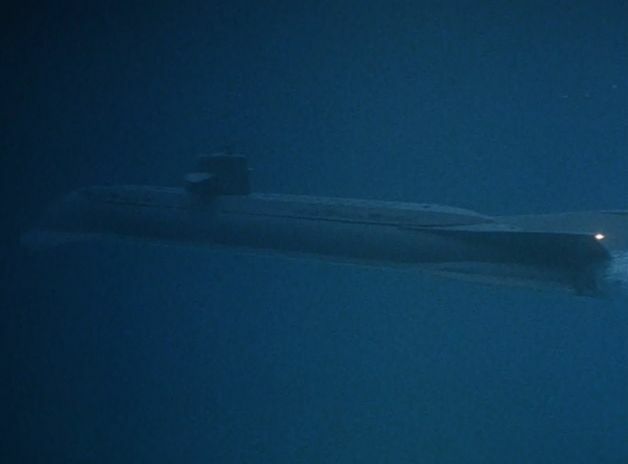 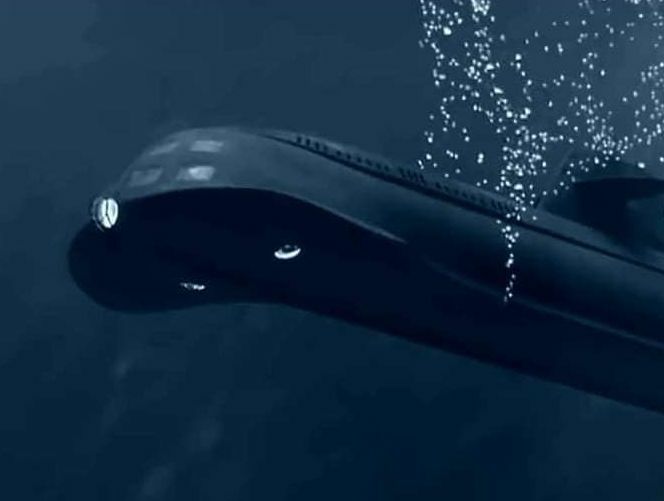 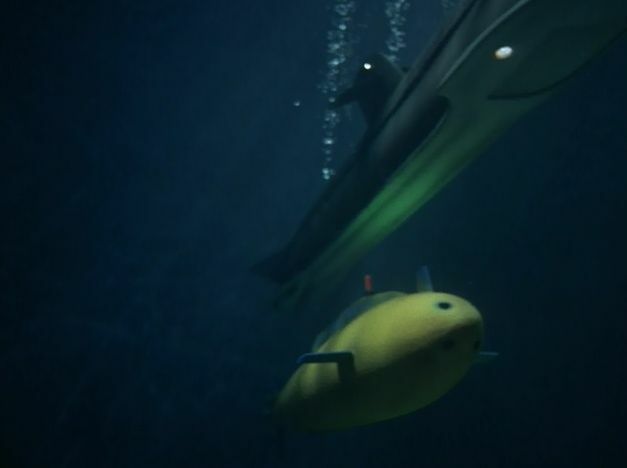 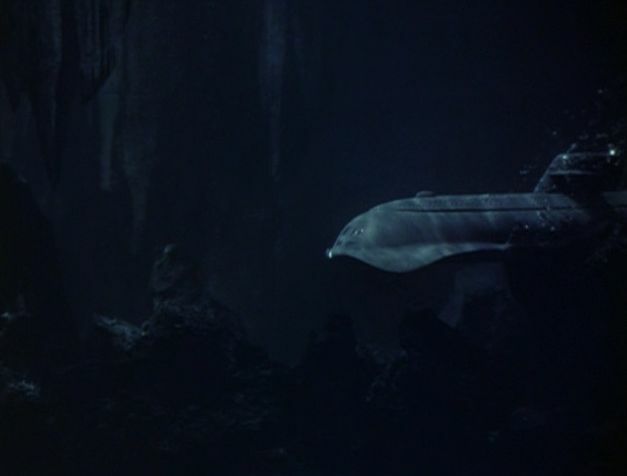 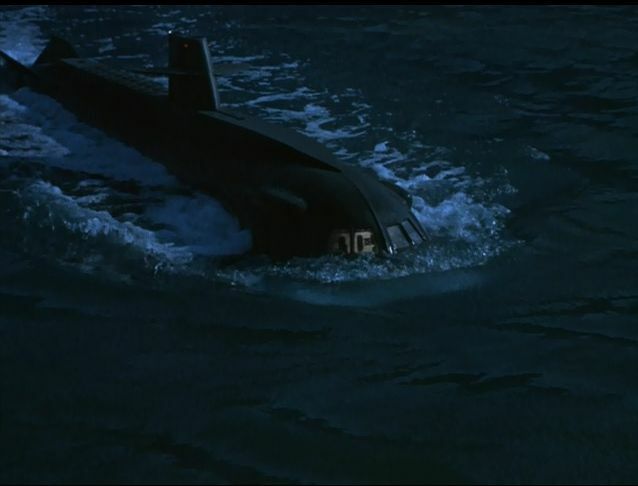 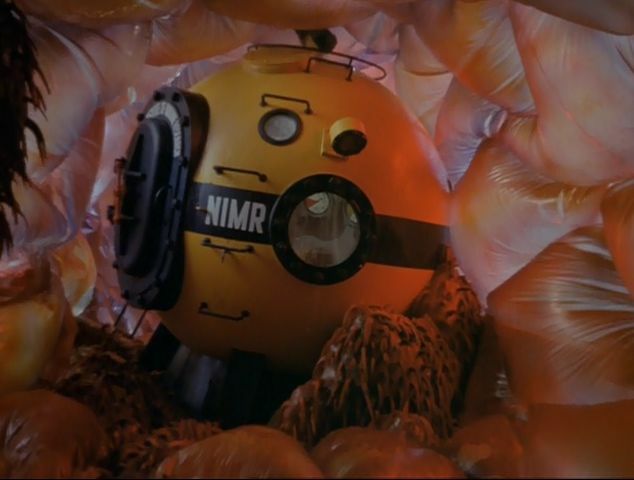 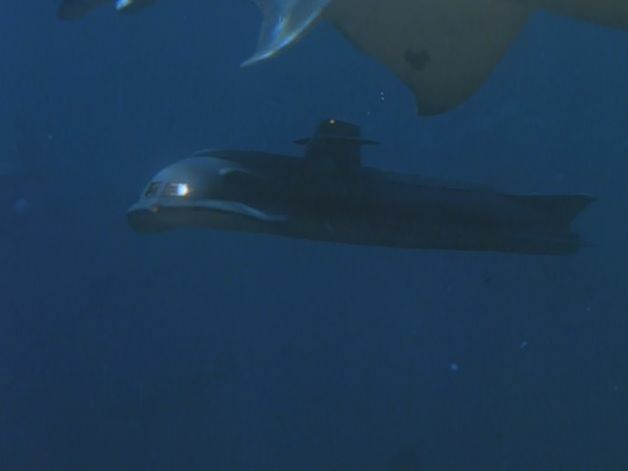 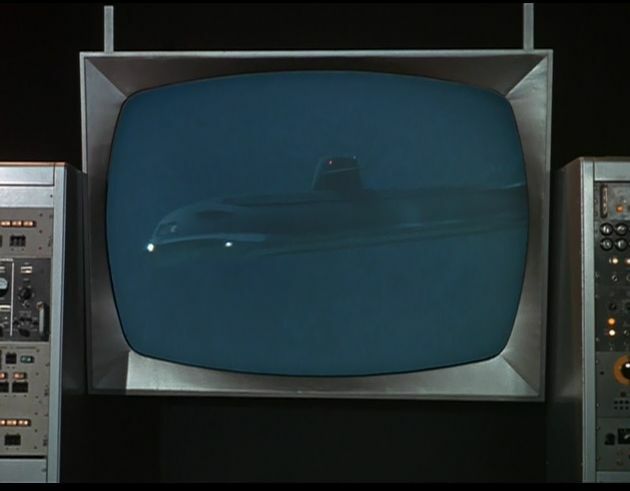 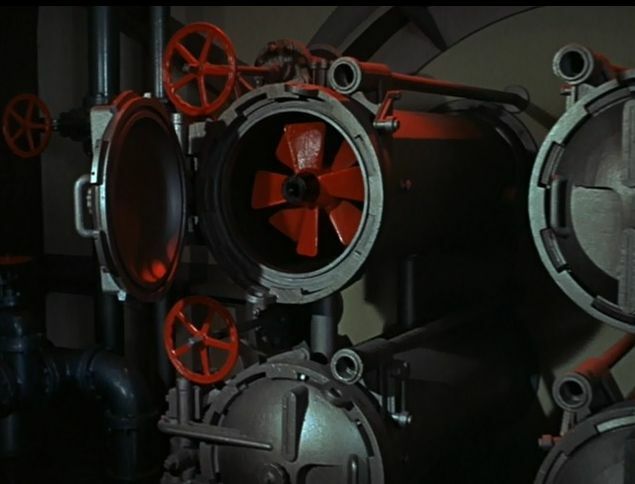 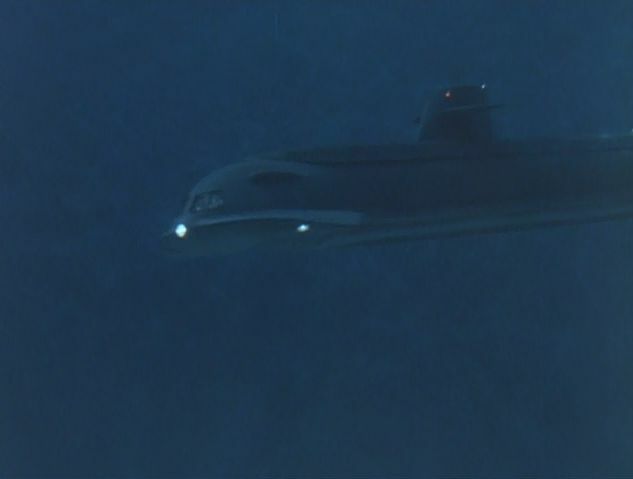 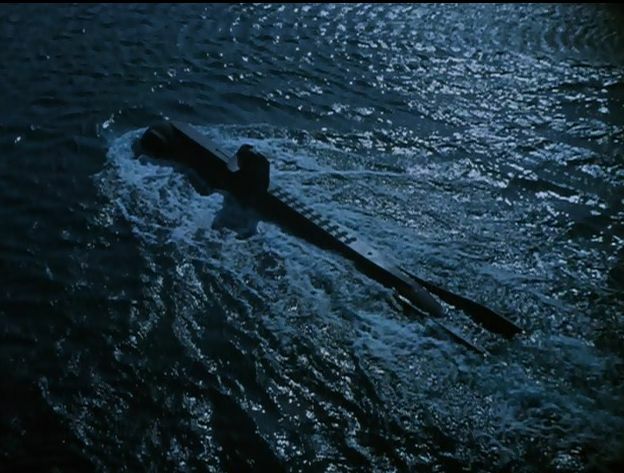 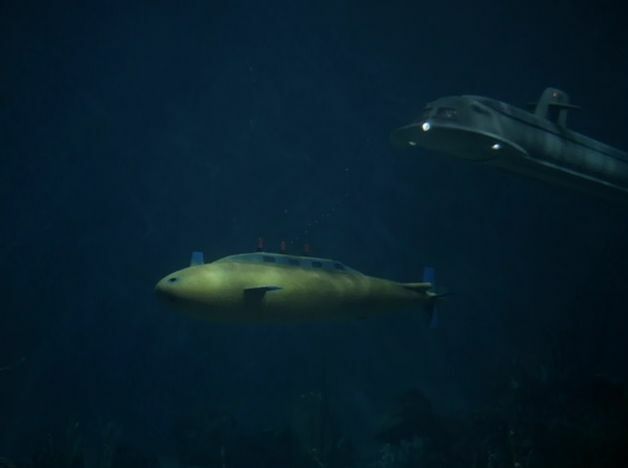 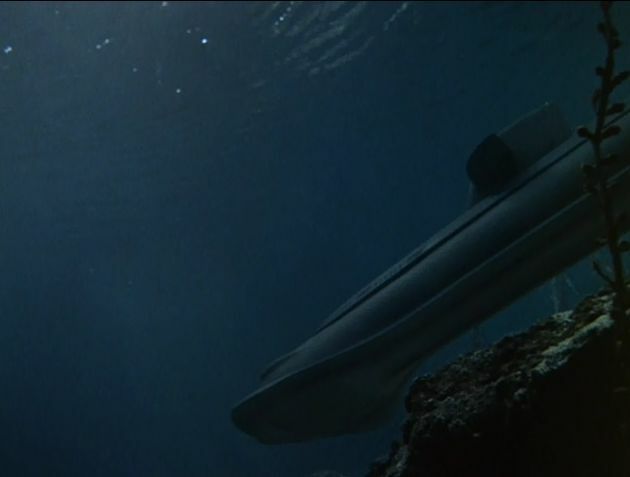 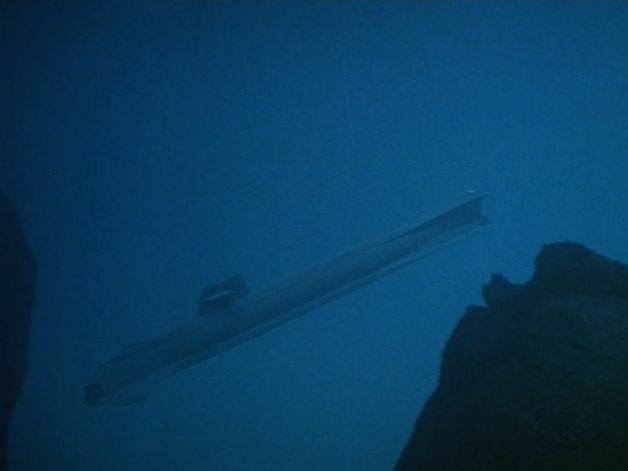 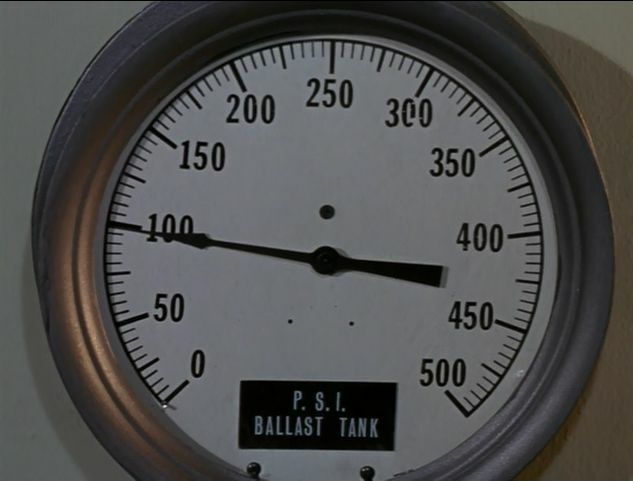 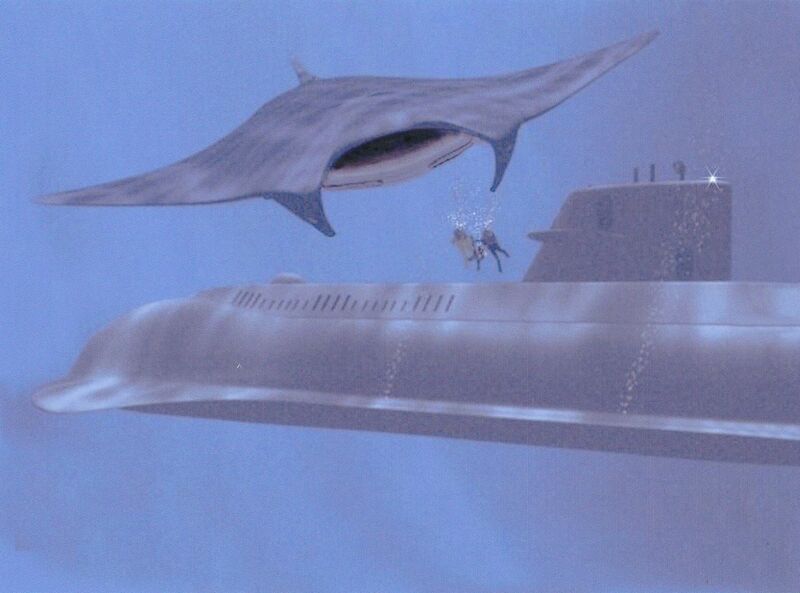 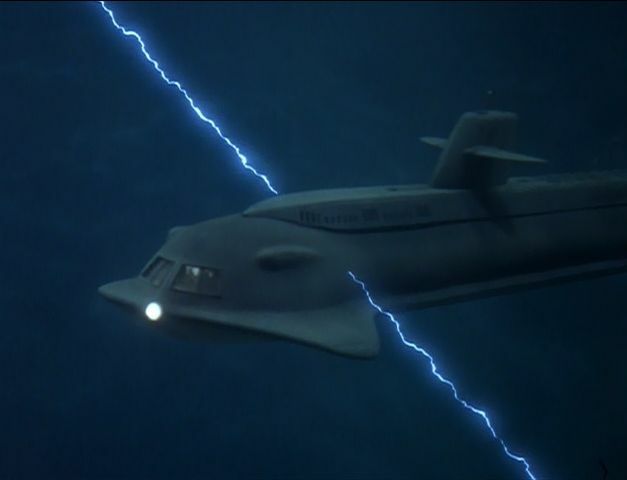 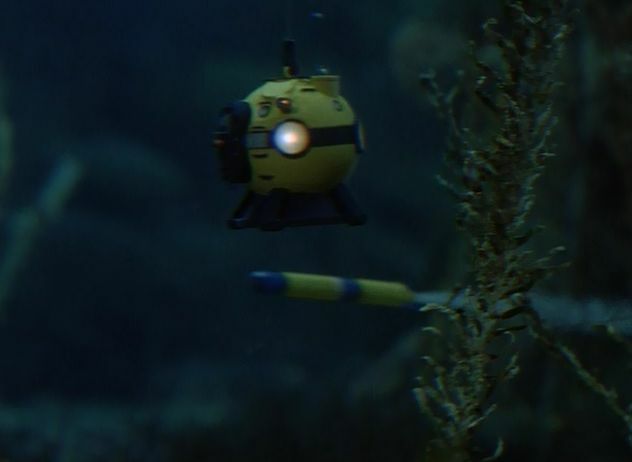 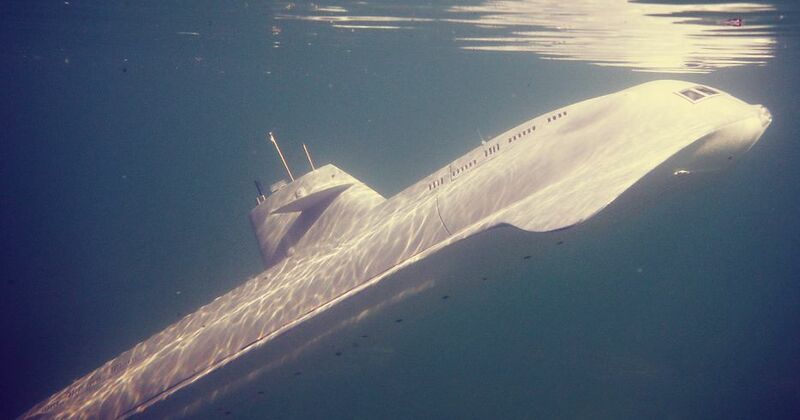 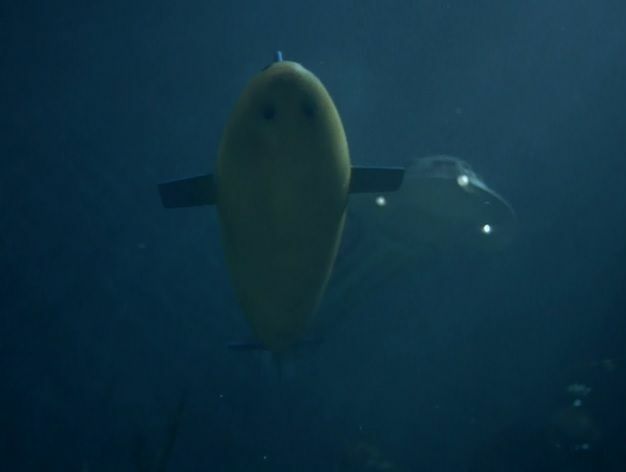 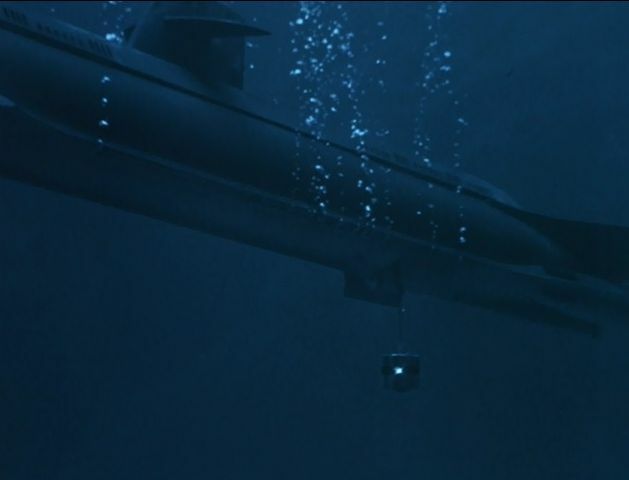 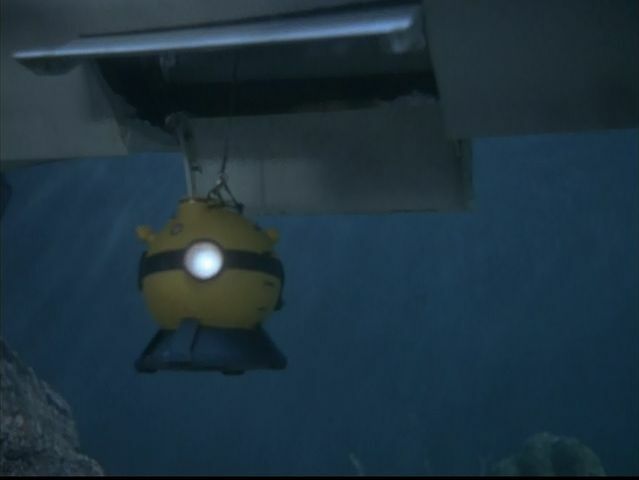 For close-ups, a three-foot Flying Sub was produced, which was also used in the aerial sequences. 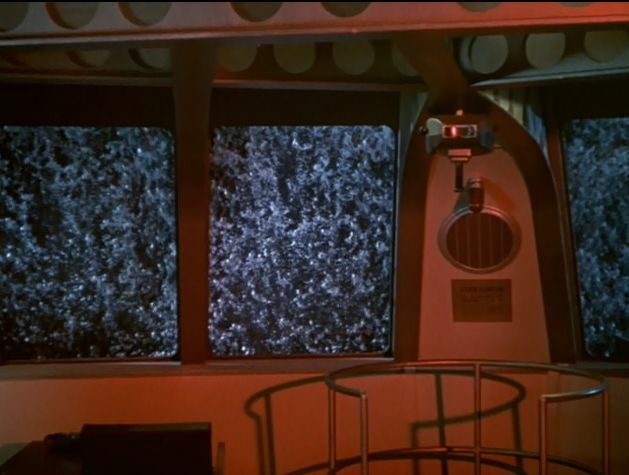 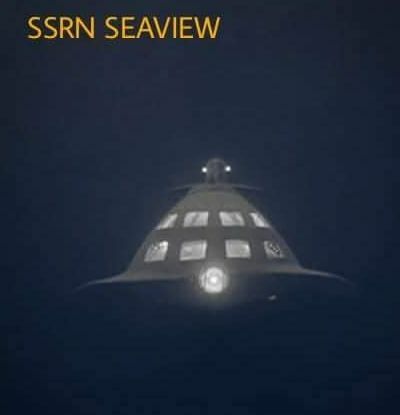 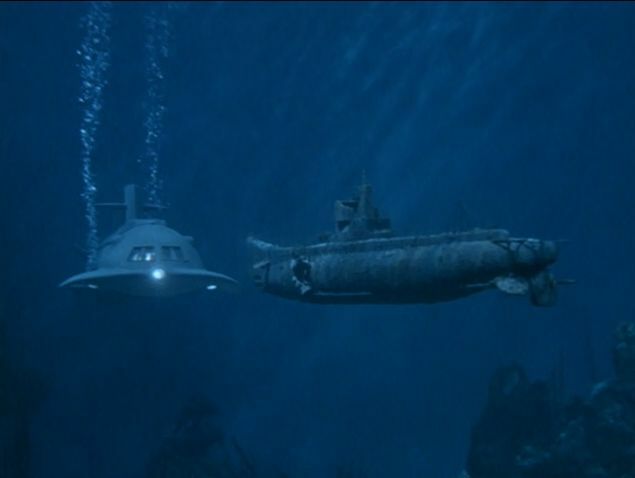 All three Seaview models were built for a total 1961 price of US$200,000 by Herb Cheeks' model shop at Fox, and were filmed by L. B. Abbott who won two Emmy Awards for special effects in the series. 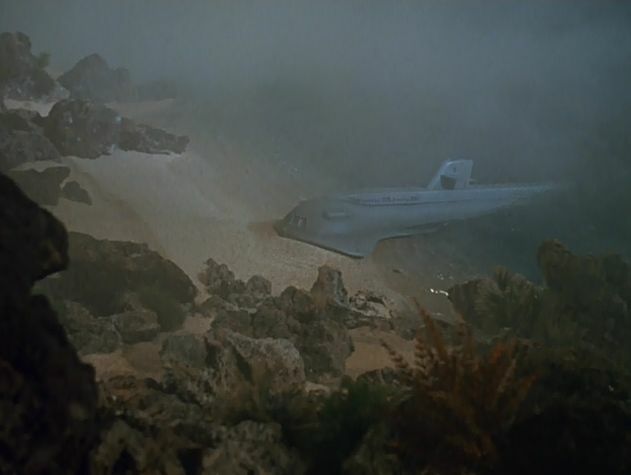 For the television series a very poorly rendered two-foot model was built. 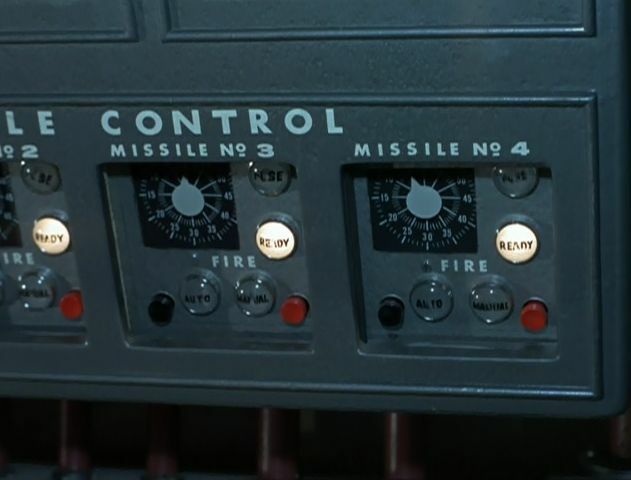 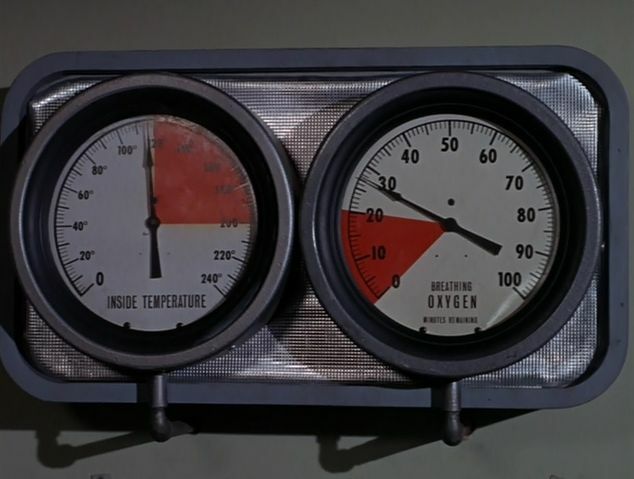 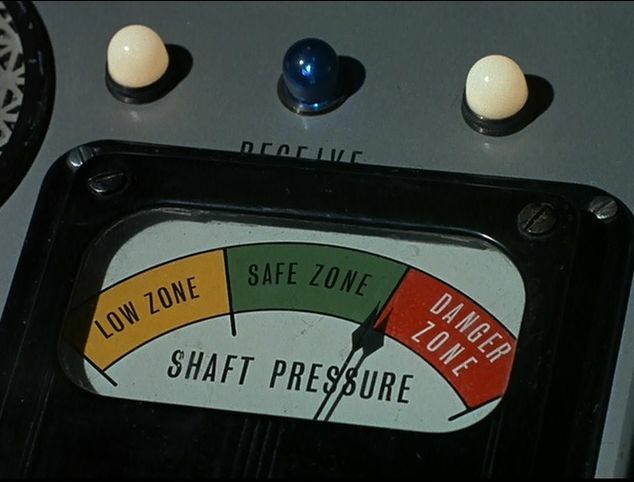 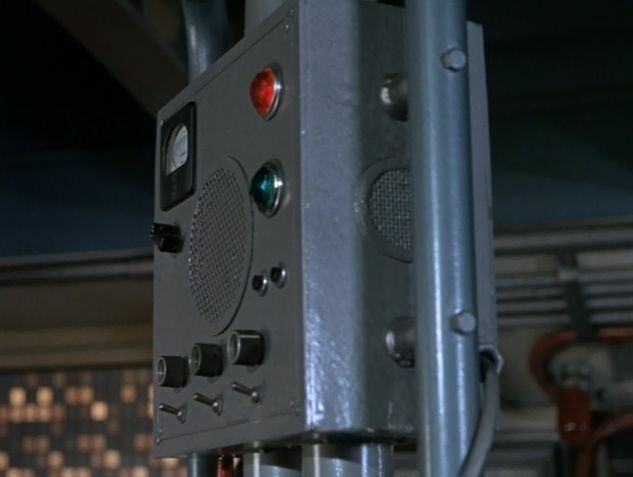 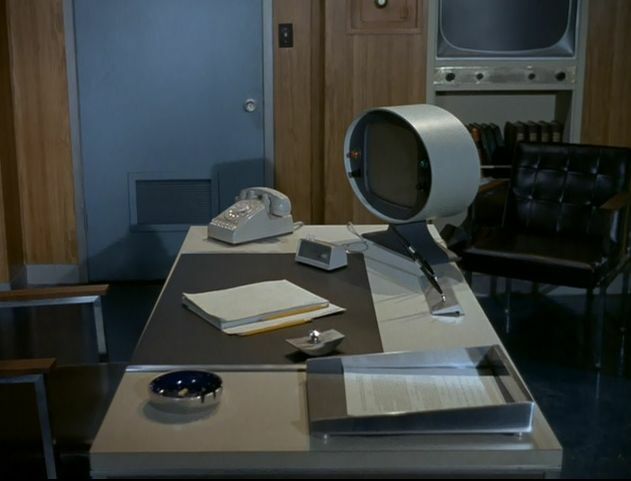 The fates of the three original models vary; the original eight-window wood and steel four-foot display model was damaged in an altercation between writer Harlan Ellison and ABC Television executive Adrian Samish and after a full restoration resides in a private collection. 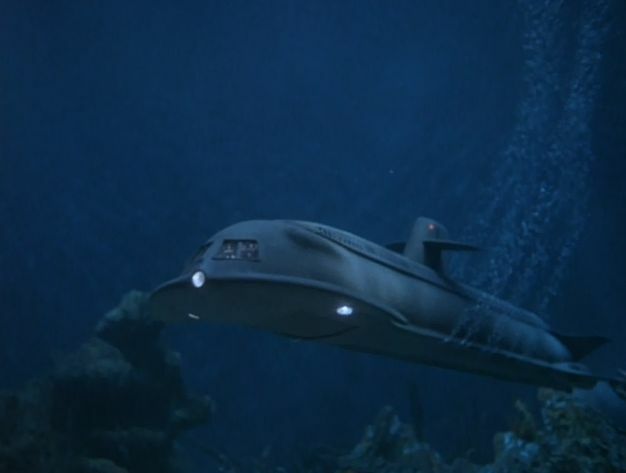 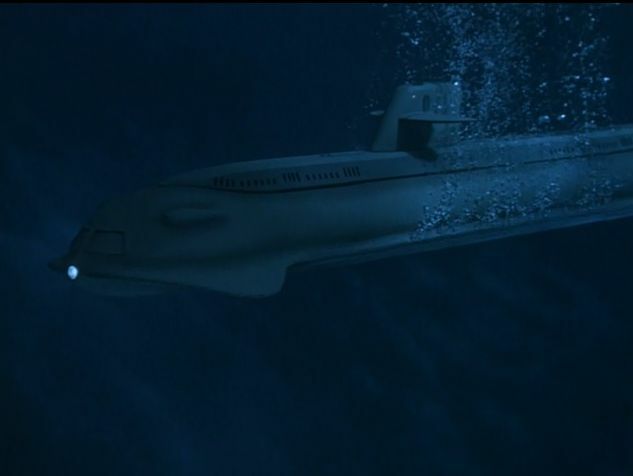 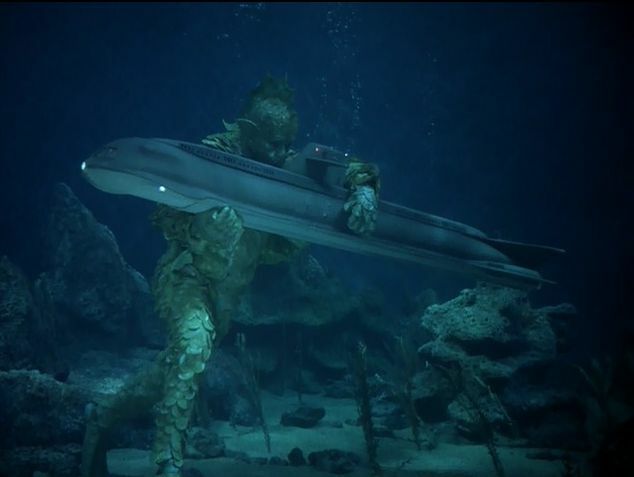 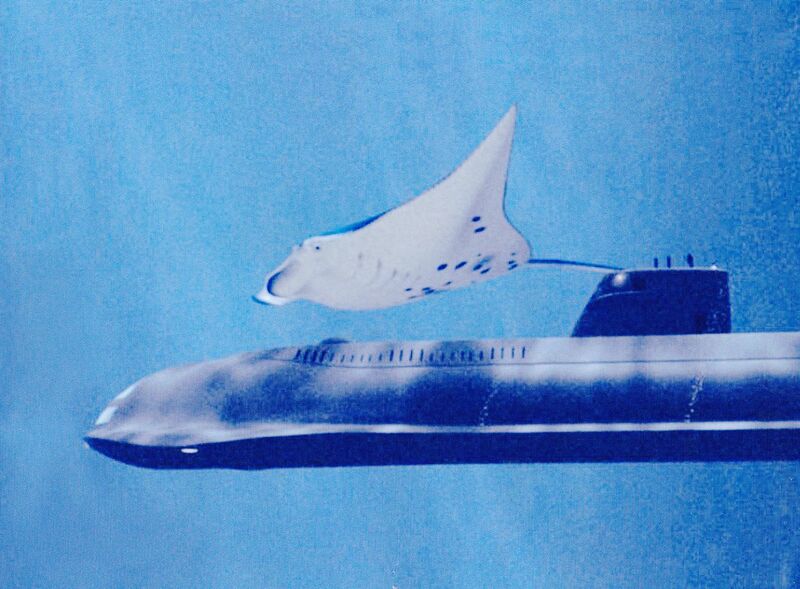 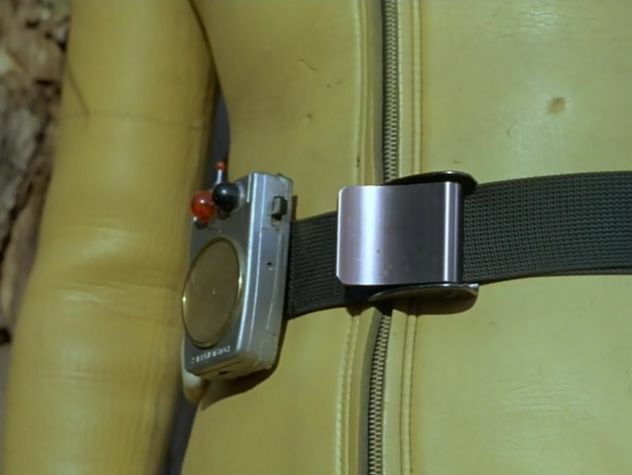 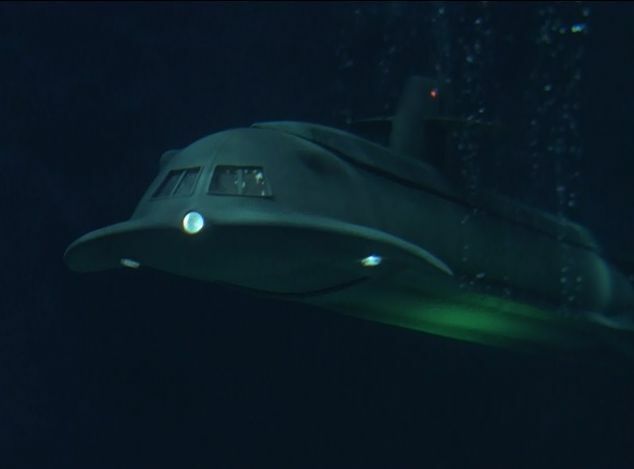 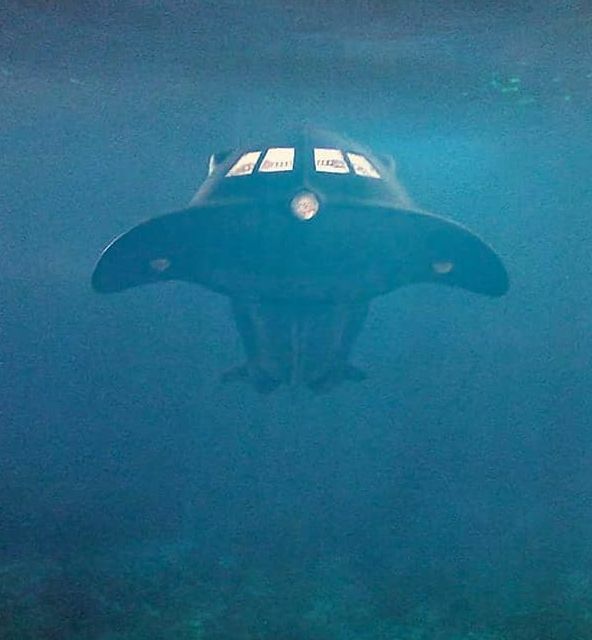 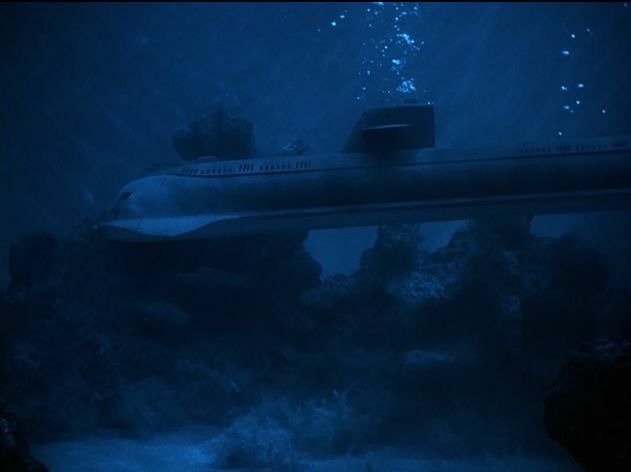 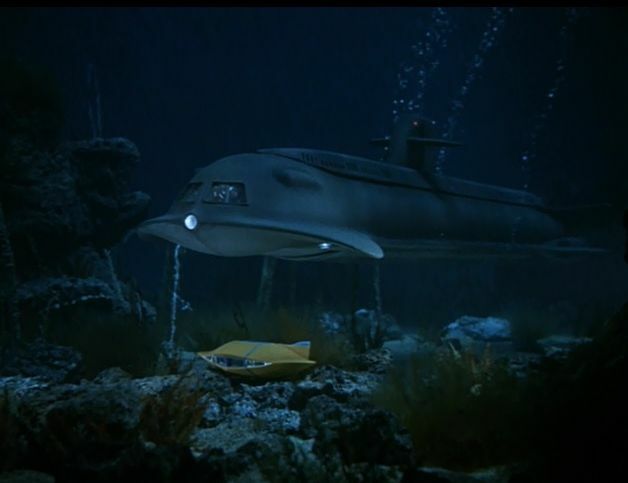 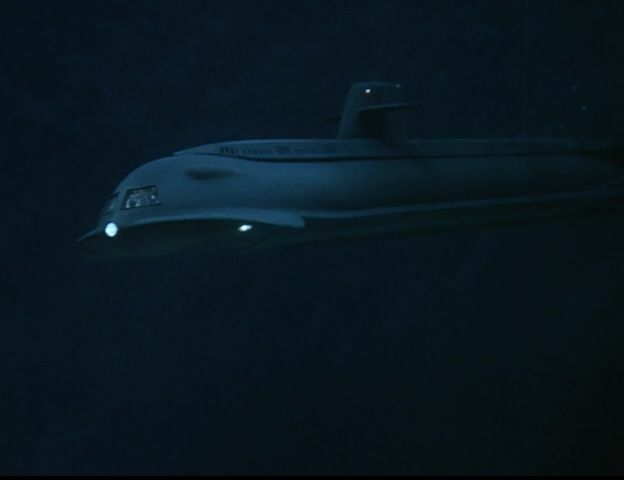 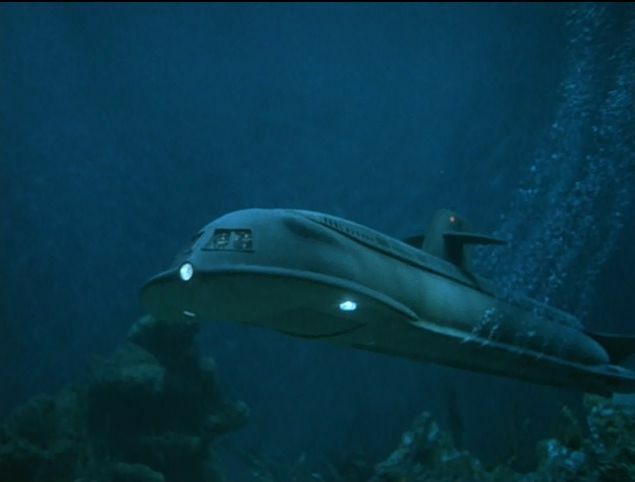 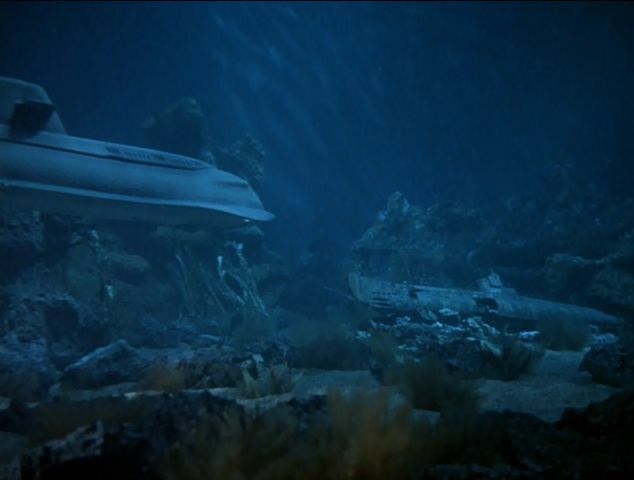 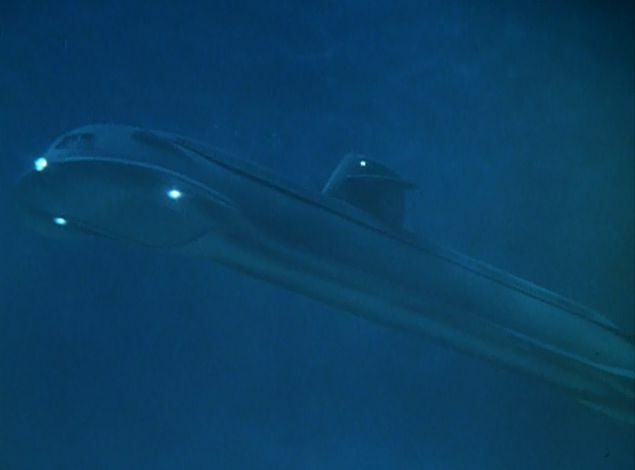 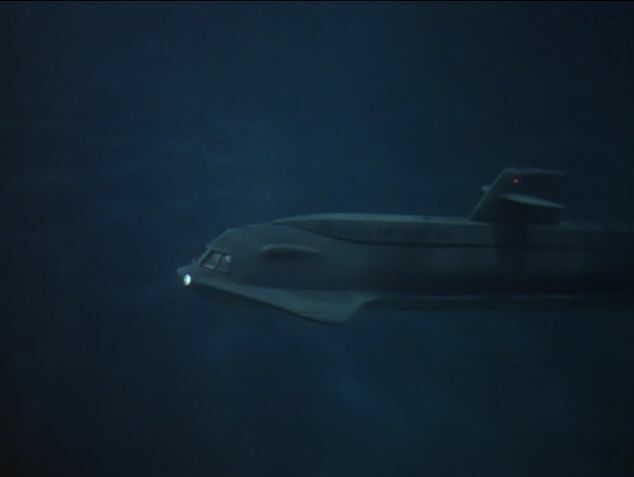 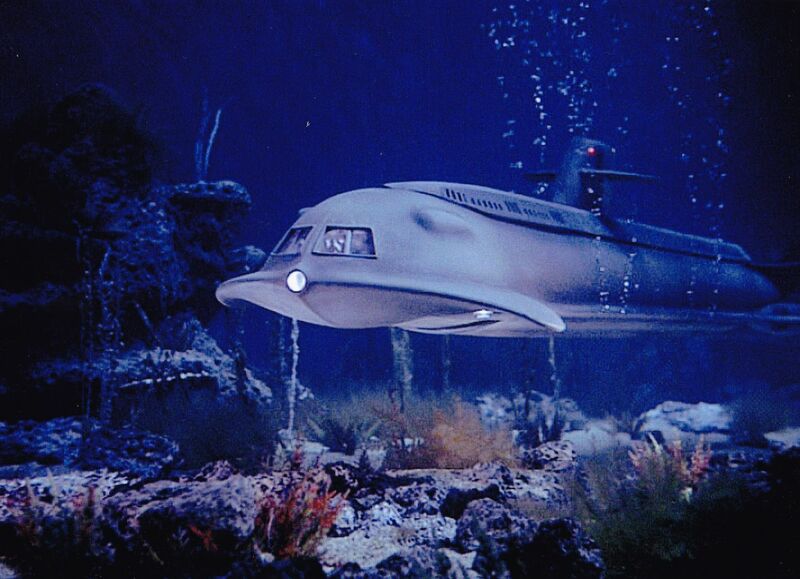 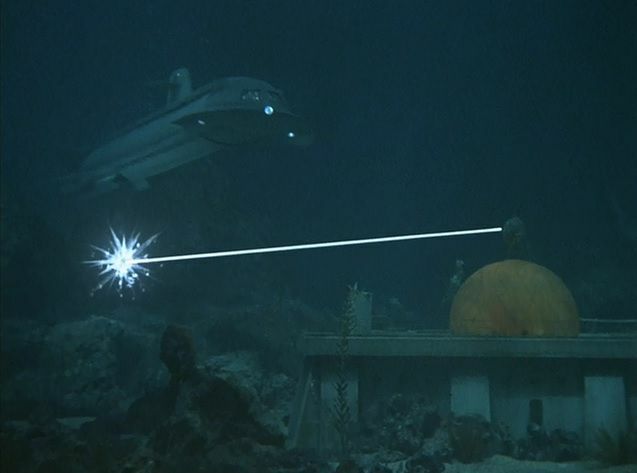 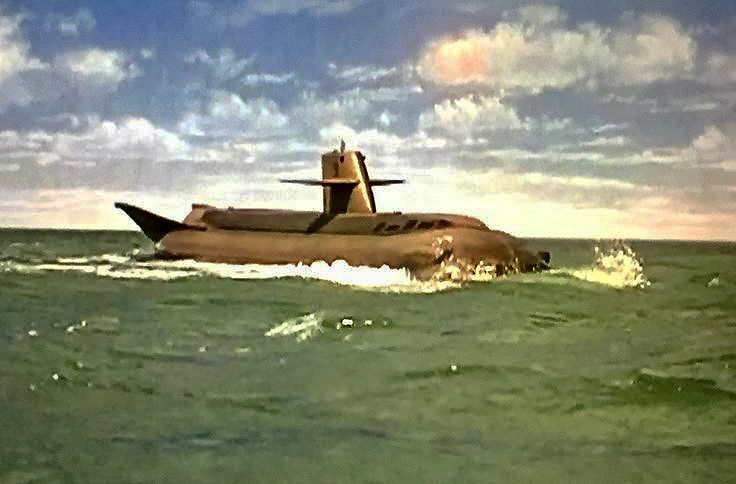 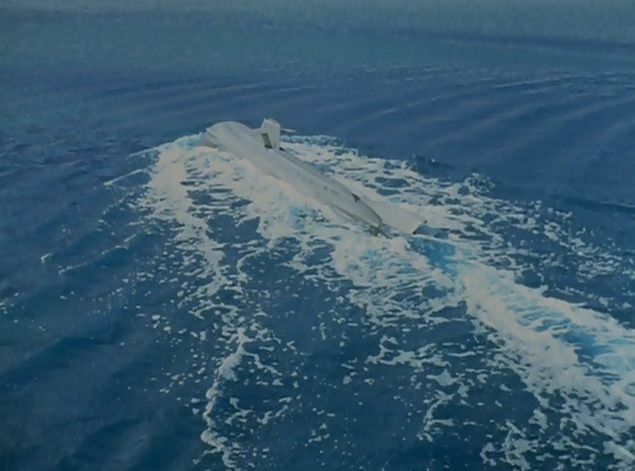 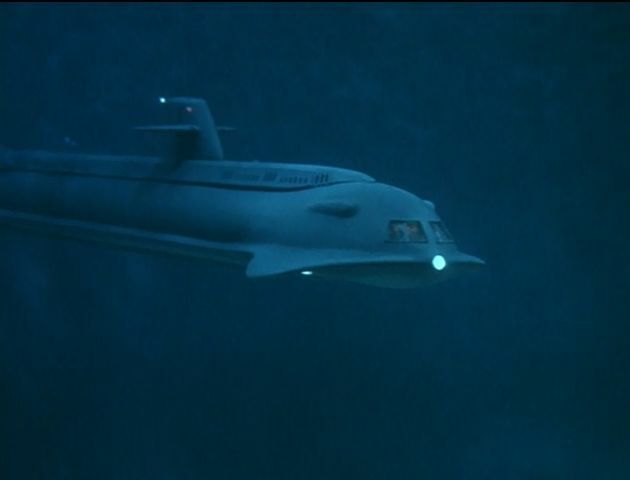 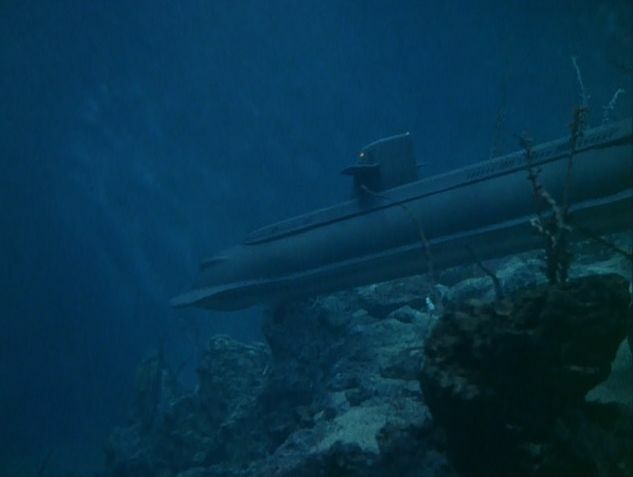 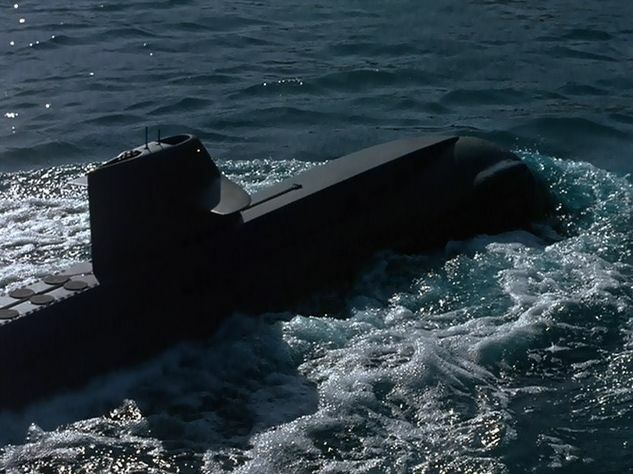 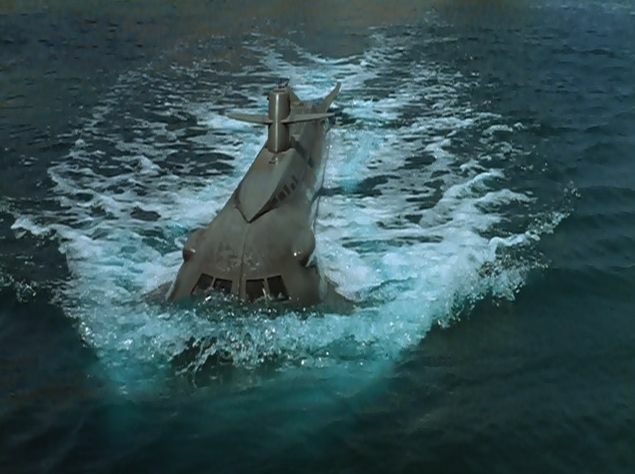 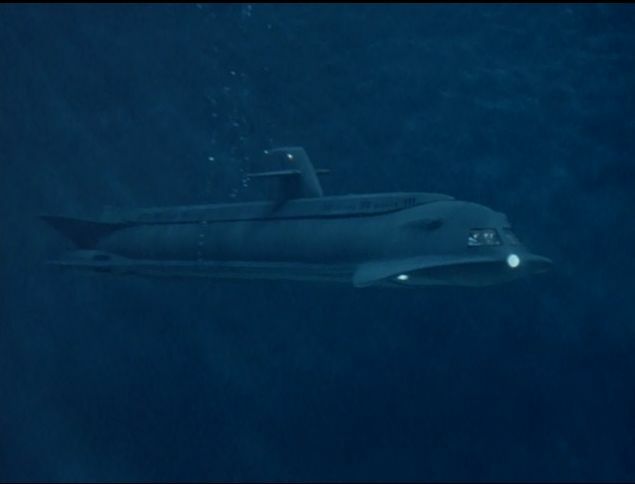 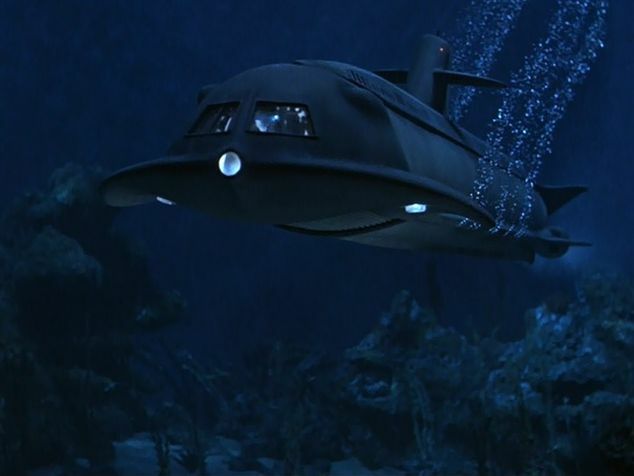 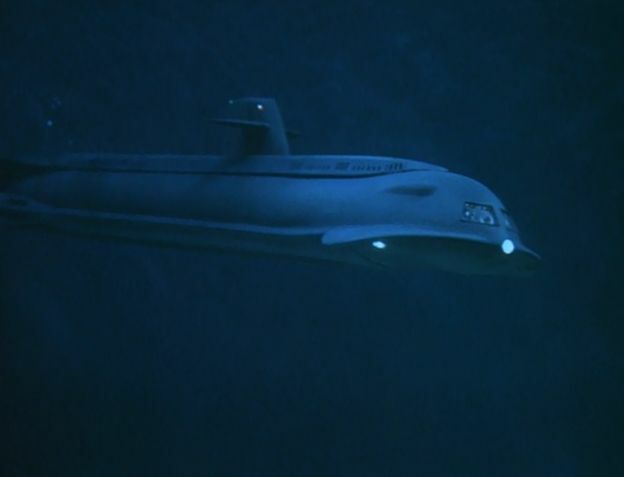 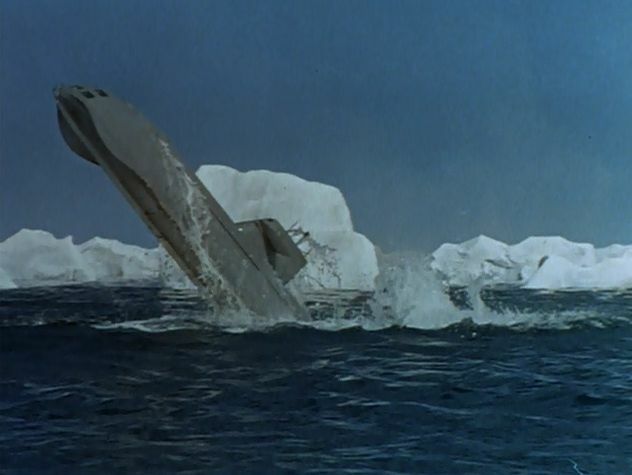 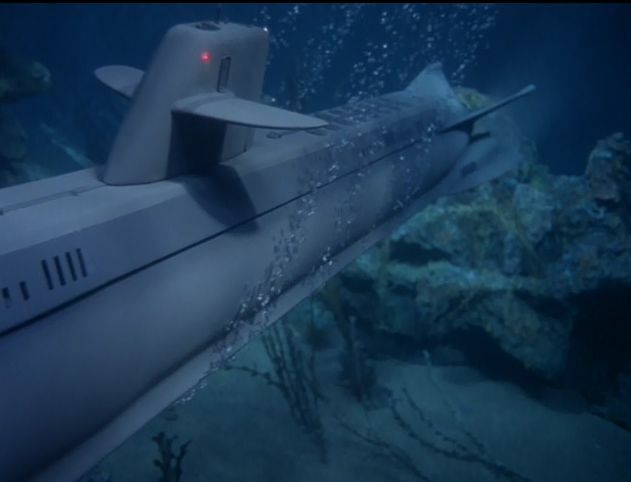 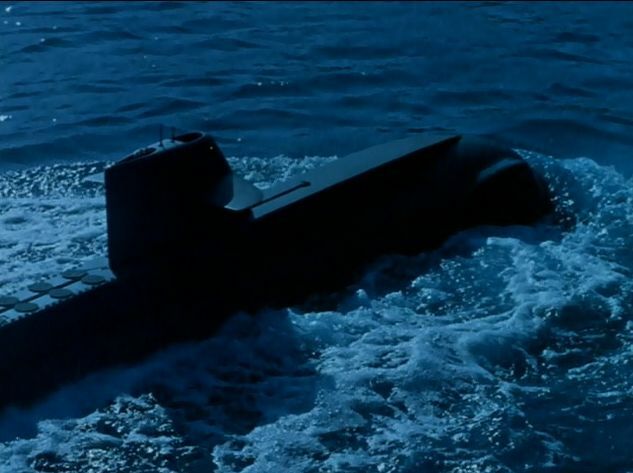 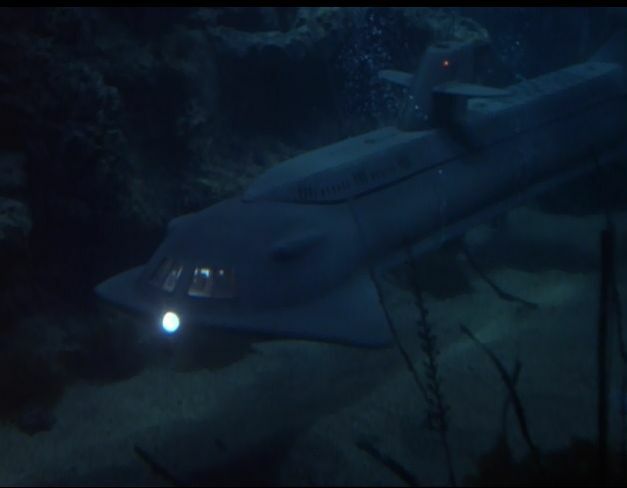 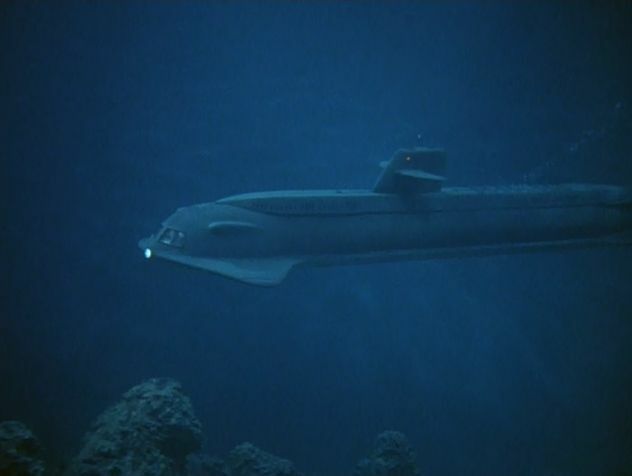 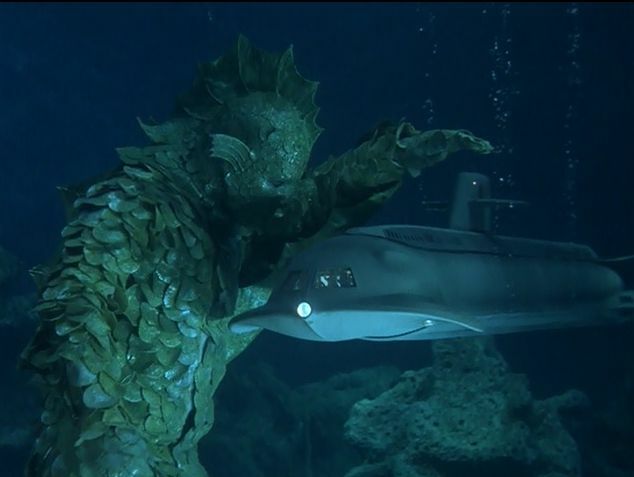 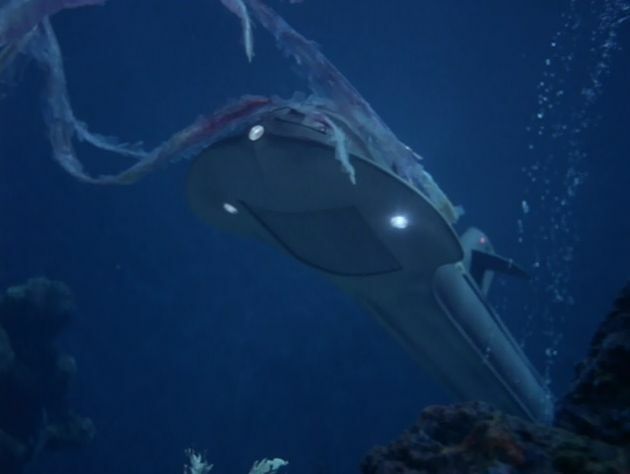 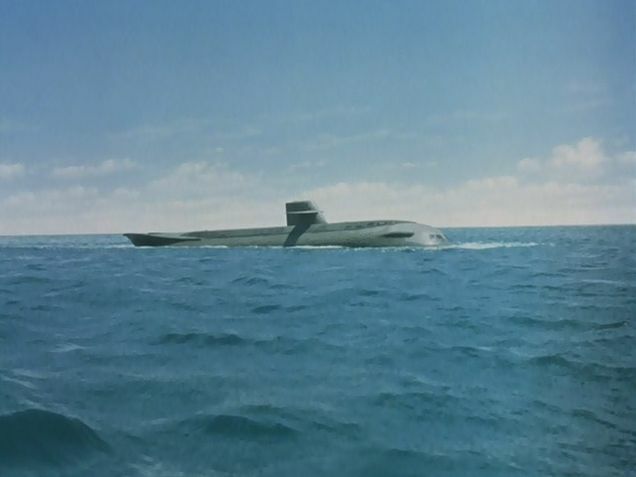 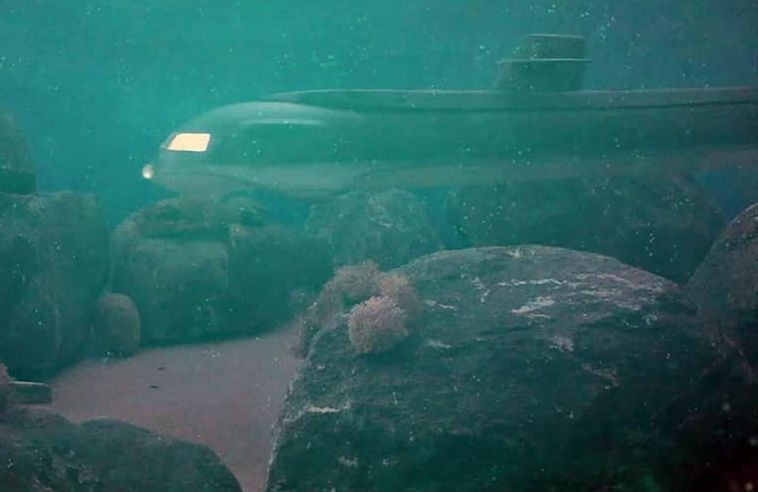 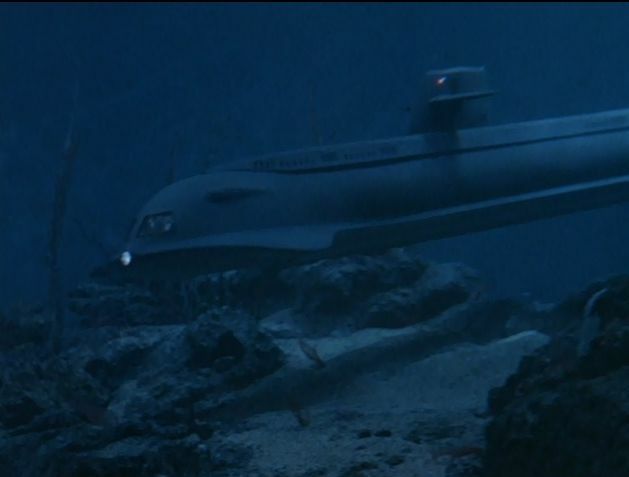 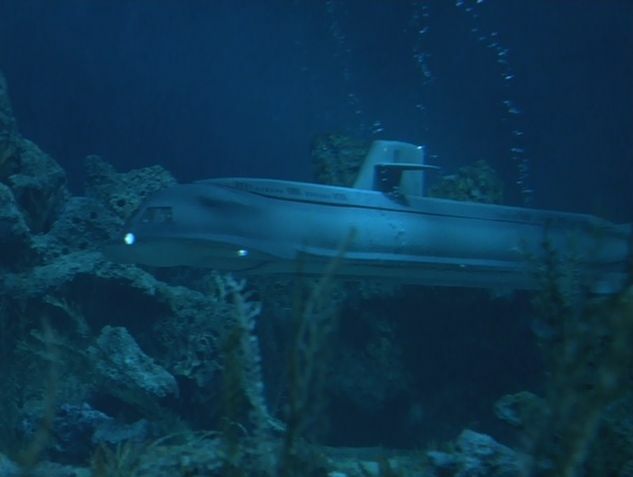 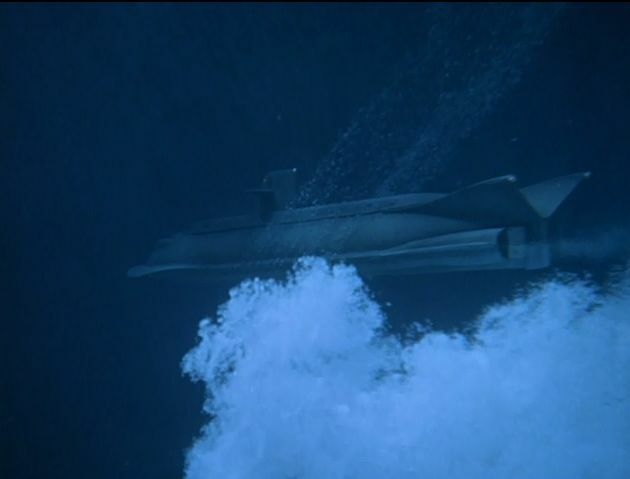 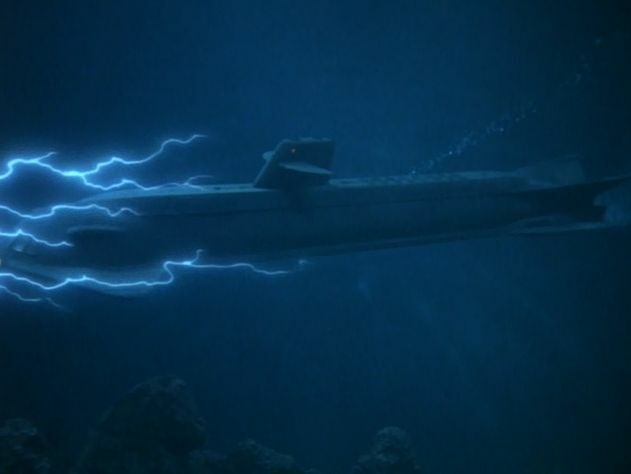 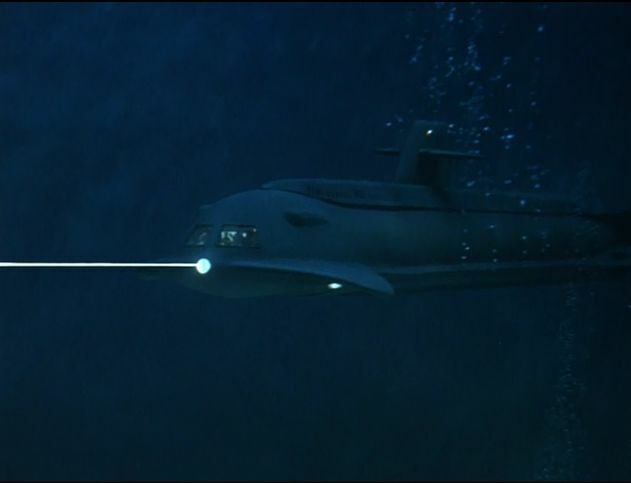 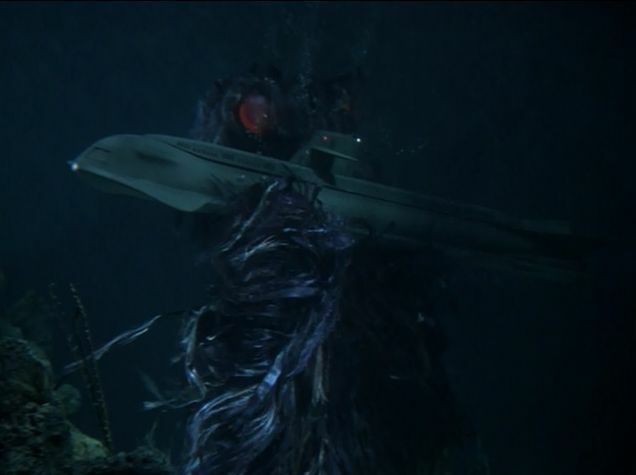 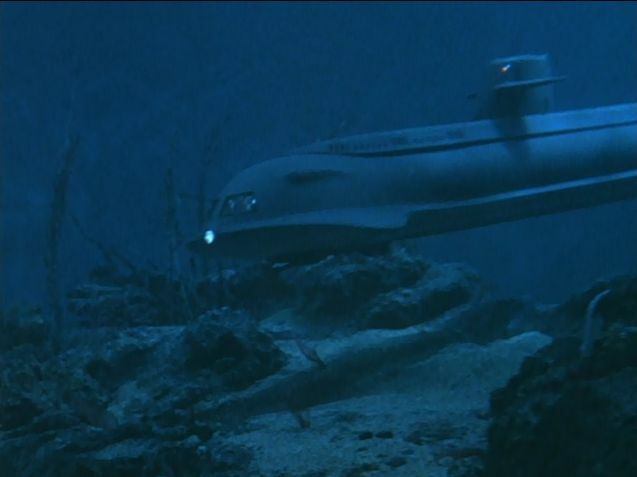 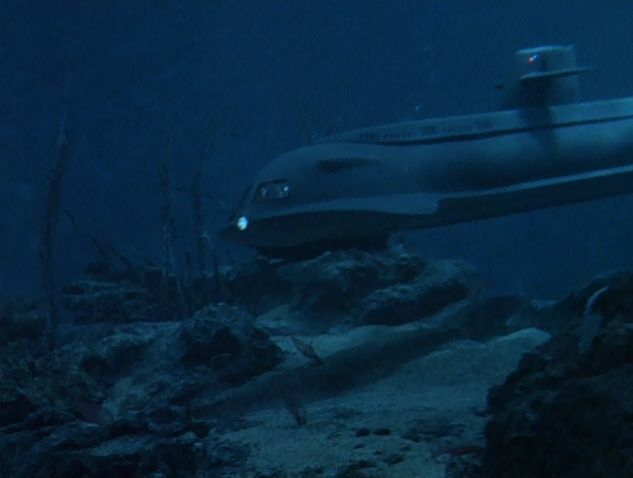 The eight-foot model was extensively modified; (bow cut off) for use in the short lived 1978 series "The Return of Captain Nemo" and is believed to have been destroyed. 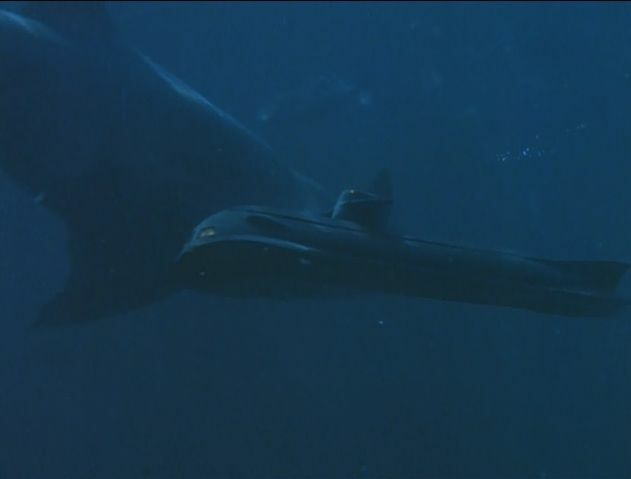 The 17-foot model sat in the Virginia Beach garage of model maker Dave Merriman (who built several of the miniatures for the Hunt for Red October movie) during most of the 1980s. 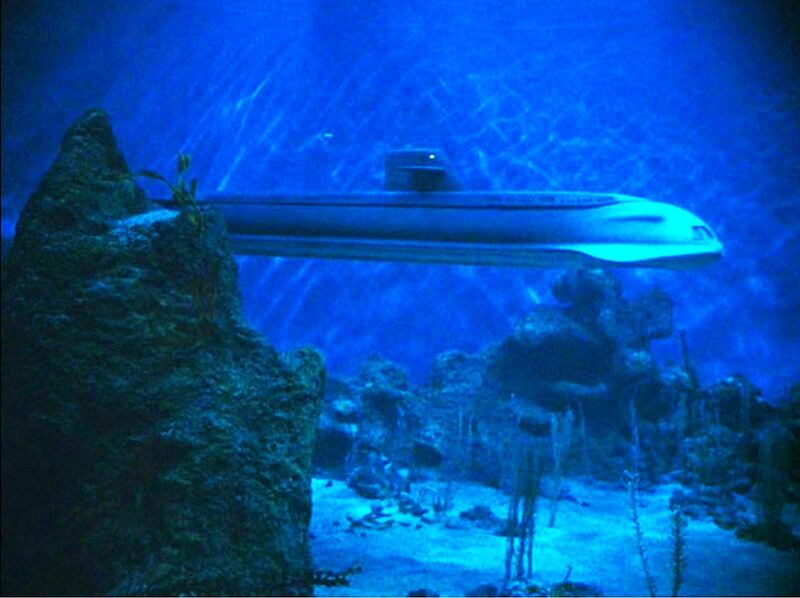 It then was displayed above the bar at the (now-defunct) Beverly Hills Planet Hollywood restaurant from 1993-2002 and after a partial restoration, is on display at the "Museum Of Science Fiction" located in Seattle, Washington. 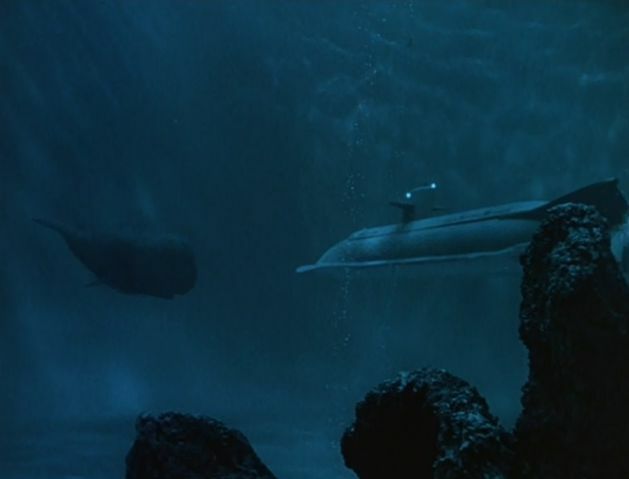 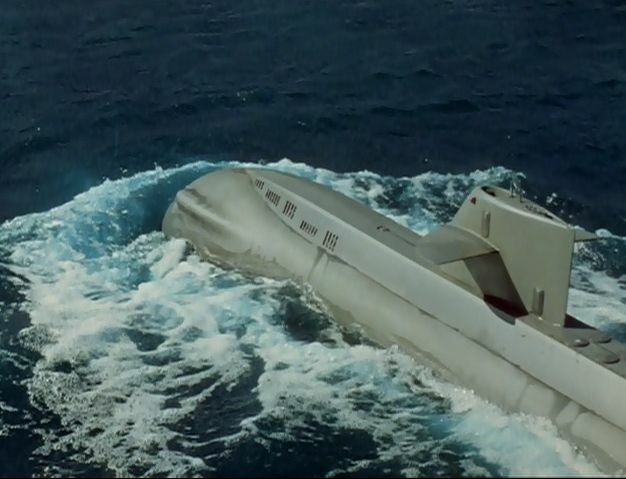 There were several miniatures of the Flying Sub and the mini-sub, and after a props and memorialbilia auction in the late 1970s at 20th Century Fox most have found their way into private collections.